If you're in the market for a DLNA media server which can provide you with hours of entertainment in front of your television set, Mezzmo could be what you're looking for. 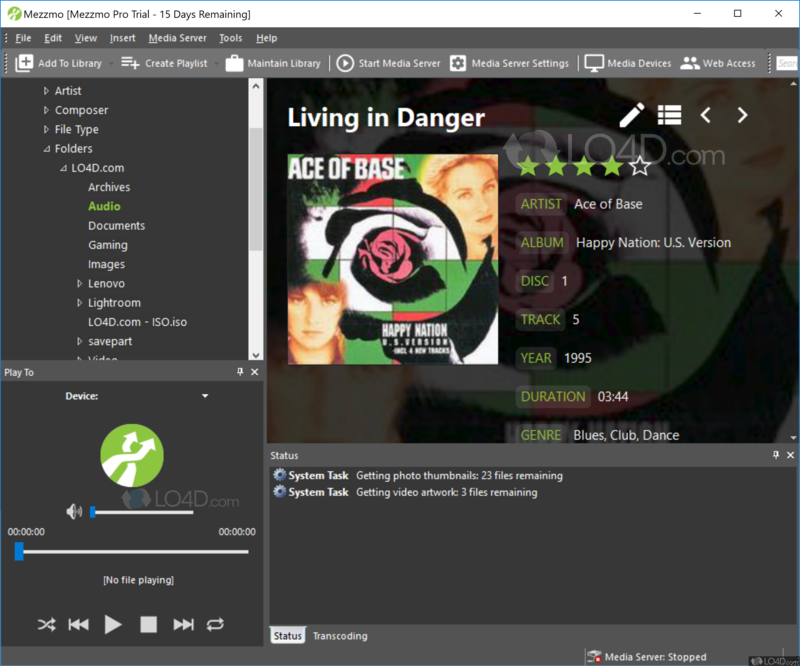 Mezzmo features a rich interface filled with a visual representation of the media it has discovered on your hard drive, your network, and other devices of which your Windows PC has access to. It currently supports and can stream to a variety of devices and in fact, can stream to anything which supports DLNA compliance such as televisions, Playstation 3 consoles, the Xbox 360 by Microsoft and a number of other hardware. 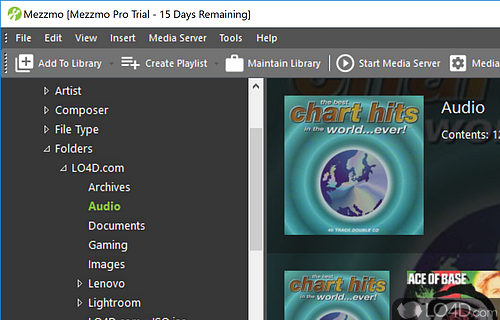 The wonderful thing about Mezzmo is that it will transcode audio and video formats on the fly. 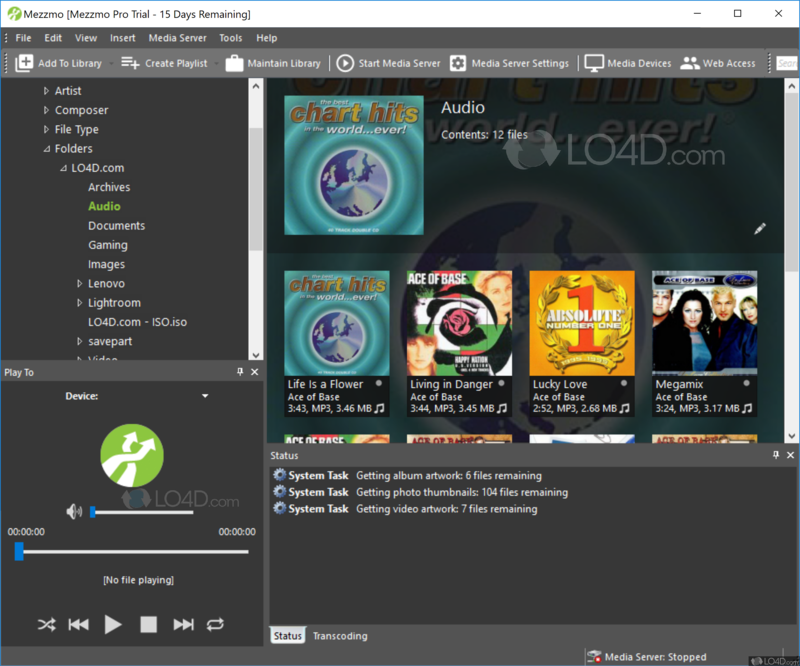 This doesn't just limit to what it finds, it will also quickly import your media files from programs such as Winamp, iTunes, Audio CDs and Windows Media Player. It will also stream to multiple devices concurrently so that each member of your household can view media in whichever room they are, just as long as they have a device capable of receiving media streams. Finally, Mezzmo is not only for video: it will also share your audio files and video files; the developer also claims that the program is optimized for multi-core computers though we couldn't substantiate that since we don't have a single-core machine here. 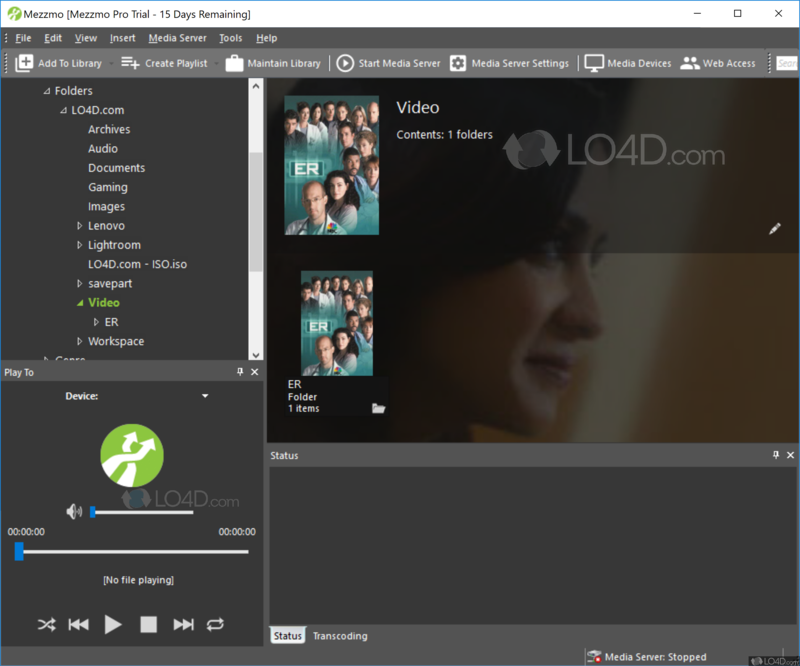 Mezzmo is software which can stream media on DLNA devices. Mezzmo is licensed as shareware for the Windows operating system from media servers and can be used as a free trial until the trial period ends (after 15 days). The Mezzmo 5.2.0.0 demo is available to all software users as a free download with potential restrictions and is not necessarily the download of the full version. 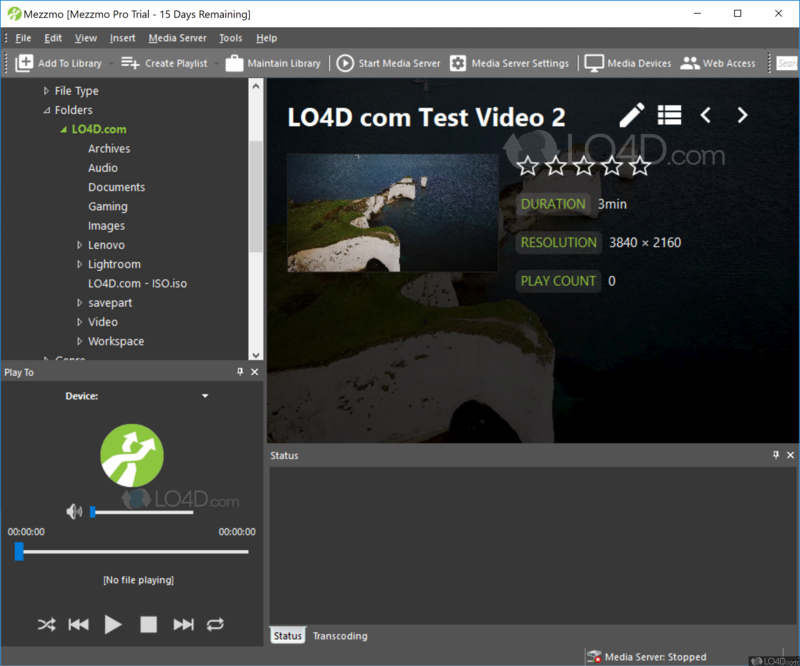 Compatibility with this dlna server software may vary, but will generally run fine under Microsoft Windows 10, 8, 8.1, 7, Vista and XP on either a 32-bit or 64-bit setup. A separate x64 version may be available from Conceiva. This download is distributed as mezzmo-setup.exe. We have tested Mezzmo 5.2.0.0 against malware with several different programs. We certify that this program is clean of viruses, malware and trojans. 4.3 out of 5 based on 29 ratings.